Are you a business owner looking to begin advertising on television in Atlanta and not sure where to start? Let the television advertising experts at Kirk Donovan Enterprises help get you off on the right foot. Television advertising can be one of the most efficient forms of traditional advertising if you know what you are doing. 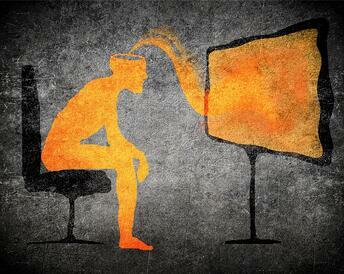 A lot of businesses now-a-days tend to try and steer clear of television advertising because of how expensive it is. However, television is a very flexible medium that when used correctly is worth every penny. Television advertising actually boasts the highest return of investment among traditional media channels. 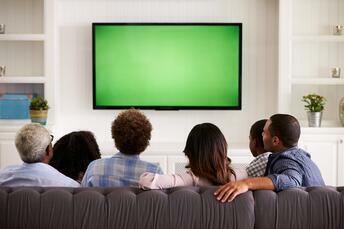 This is why using television in your marketing mix is so important to your campaign. The end result of your campaigns is to make potential customers aware of your business, and convert them into leads. Although you should use a variety of different mediums to drive business, you should always try to include television in your marketing mix so that your campaign can reach its full potential. If you are interested in learning how to advertise on television and would like to speak with a professional, click on the link below and recieve a free consultation today. The Ability to Reach a Large Audience - TV stations allow your advertisement to be exposed to thousands of viewers each time it is aired. If you are able to afford a prime time slot on a large network, this can even mean hundreds of thousands or millions of viewers. What it also does is allows you to reach your audience right in their own living room. TV Allows you to Pair Sight and Sound - TV is a unique and effective advertising medium because you can influence your target audience through sight and sound, where as other mediums like radio and print only allow for one or the other. Being able to pair sight and sound allows you to flex your creative muscle and make more compelling advertisements. Viewers Pay More Attention when Watching TV - When people watch television, they generally are focused on what they are watching more so than other advertisments. This creates a better opportunity for them to get your full message and convert them into customers. TV leads to a Behavioral Response - Television is so effective because it is great at triggering a behavioral reponse when people see it. Combining visual and audio stimulation in a way that is appealing to your audience should lead them to your website and drive business. Television Ads are Flexible - Television ads are so crucial to your marketing mix because of the flexibility they provide. They can be made to be anywhere from 5 seconds to an entire infomercial. As you can see, television advertising offers many benefits that can lead to a successful marketing and advertising campaign. Including them in your media mix will allow you to reach a larger audience and represent your brand the way you want it to be. What are your expectations for the campaign? What type of time frame are you hoping for your campaign? Once you have determined some of the criteria for your campaign, it is time to begin building it out. In order to do this, you must do research and decide during what times and on what stations you want your ads to appear. Doing your research should also provide you with an idea of just how much money your ads are going to cost you. Television stations will use all of these factors in order to come up with price quotes for potential advertisers. However, with the help of an advertising professional, you may be able to get cheaper prices and more ad time. Several years ago, businesses had to try to tell their story in 30 second or 60 seconds, and try to convince the audience to come to their store, or call their phone number. It was the driving source for enticing people to engage with you and your services. But today your website should do the convincing. 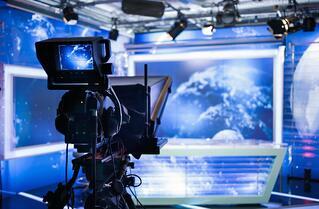 Television ads should do just enough to get people to your website. If the website is doing its job, and if they have a way of calling you by hitting a button on their cellphone, then TV has done its job. So, businesses can mix in some short 10 or 15 second ads. If done properly the message can create a behavioral response…go to the website. And 10 or 15 second spots are a lot less than 30 second spots, so you can be in high profile areas and get more frequency with a limited budget. If you try it yourself, or get your office manager to contact the stations, you will probably learn a bad lesson. So, get someone who knows how to negotiate with the stations, how to create realistic expectations, and how to write spots that entice people to respond. Have A Specific Television Advertising Question You Want Answered?